Bandai Namco Entertainment has announced the release of Taiko No Tatsujin: Drum ‘n Fun for Nintendo Switch. Taiko No Tatsujin: Drum ‘n Fun will be released in North America and Europe on November 2, 2018. We’ll bring more details as they come. 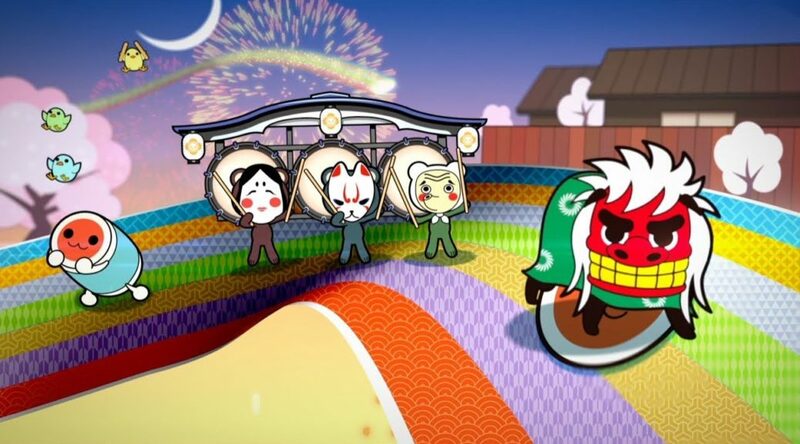 he celebrated cult classic taiko drum rhythm series Taiko no Tatsujin arrives in Europe, with two new games announced by BANDAI NAMCO Entertainment Europe. Taiko no Tatsujin: Drum ‘n’ Fun! for Nintendo Switch® and Taiko no Tatsujin: Drum Session! for PlayStation®4 will be released 2nd November, 2018. The hugely popular Japanese rhythm game comes to Europe for the first time featuring a wide variety of new songs, special crossover characters and multiplayer capabilities that are sure to get players drumming to the hypnotic rhythm of taiko drums. Taiko no Tatsujin: Drum ‘n’ Fun! for Nintendo Switch® and Taiko no Tatsujin: Drum Session! for PlayStation®4 each boast unique features that tailor the Taiko no Tatsujin experience to each specific platform for optimised gameplay. Taiko no Tatsujin: Drum Session! for PlayStation®4 plays to the spirited competitive side of Taiko with its Ranked Mode, enabling players to connect online and test their skills against Taiko players around the world. Players will also have the chance to unlock costumes, sound effects, and greetings for the Taiko no Tatsujin mascot Don-chan, and play Guest Session with popular characters such as Heihachi from Tekken, Pac-Man® and Hello Kitty®.